She’s collaborated with countless international musicians such as Dave Matthews and the Dave Matthews Band, Kelly Price, Alicia Keys, Branford Marsalis, Ziggy Marley, Philip Glass, Peter Gabriel, Bono, Carlos Santana, John Legend, Herbie Hancock, Josh Groban, Dr John, the Kronos Quartet and Cassandra Wilson. Put it simply there are few bigger stars you will see at the Belfast International Arts Festival this year, or any other year. Recorded with hip-hop producer Jeff Bhasker (Rihanna, Kanye West, Harry Styles, Bruno Mars, Drake, Jay-Z) and players including Kuti drummer Tony Allen and Vampire Weekend front-man Ezra Koenig, Kidjo’s original take on Remain in Light is a new benchmark in an already accomplished career and one of the year’s most daring records. Angelique Kidjo is not only one of the most electrifying performers in the pop world today, but she is also one of its most forward and creative thinkers, an artist whose mission has been to explore the relationships of diverse musical cultures. Kidjo travels the world as a UNICEF Goodwill Ambassador, where she raises awareness about girls’ education to help eliminate gender disparity in primary and secondary education. She is the co-founder of the Batonga Foundation, which gives scholarship to girls in Benin, Cameroon, Ethiopia, Mali and Sierra Leone. Her public service announcements on the need to educate all children, to eradicate polio and to increase support for children affected by HIV/AIDS have helped bring greater attention to these issues. In August 2008, she received Benin’s Commander of National Order of Merit for loyal services to the nation. 4. She kicked off the FIFA World Cup! When South Africa hosted the World Cup in 2010, Kidjo was right at the centre of the celebrations to kick off the whole event in front of all in attendance with the entire world watching on TV. Her first language is Fon, spoken by many from her country, but also French, Spanish, Portuguese, Swahili and a few others show up in her lyrics. Her highly ambitious album, “Fifa,” included recordings of small-town Beninise musicians, and a few songs were performed in English. 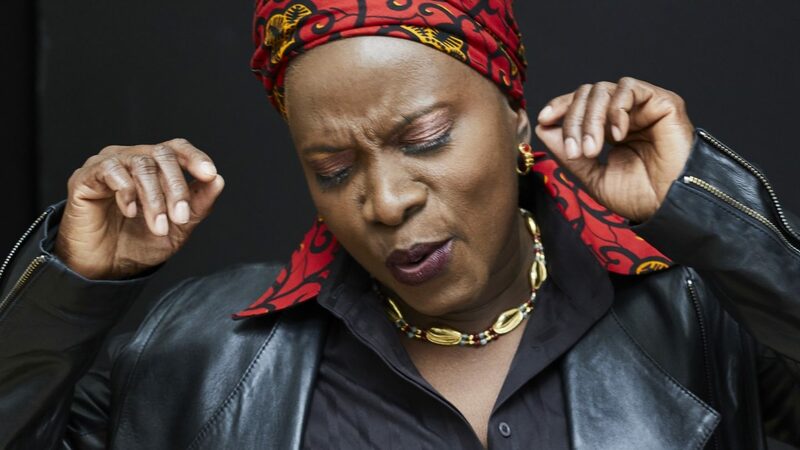 For more information on Angelique Kidjo’s Belfast International Arts Festival concert and how to book follow the link here.